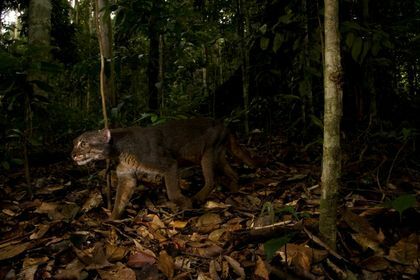 An extremely elusive creature called a bay cat has been photographed in stunning detail in its native Borneo in Southeast Asia. The new image, which was captured by a photographer working with the wildcat conservation organization Panthera, is one of the first high-resolution images taken of the enigmatic species. Previously, grainy camera-trap images were the main evidence of the cat's existence. Logging has threatened some of these cats' tropical forest habitats, and the creature is now listed as endangered by the International Union for Conservation of Nature. In the past, the elusive cats were only documented in poor-resolution camera-trap images first captured in 1998. In November 2013, another research team captured several camera-trap images of the cats, along with Sunda clouded leopards and marbled cats. 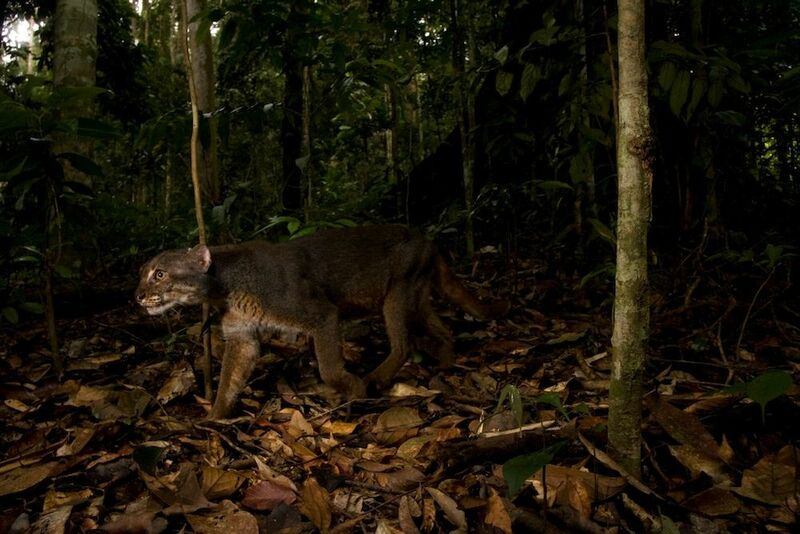 To find out more about the species, photographer Sebastian Kennerknecht and Andrew Hearn, a researcher at Oxford University's Wildlife Conservation Research Unit, went out into the rainforests of Borneo on the hunt for the bay cat. The team took two trips but managed to get just one photo of the cat. To find the cat, the team chose spots to place customized digital SLR camera traps where Hearn had sighted bay cats before, Kennerknecht said. The cameras shoot when an animal crosses an infrared sensor. The image was captured in the unlogged lowland rainforests of Malaysian Borneo. Follow Tia Ghose on Twitter and Google+. Follow LiveScience @livescience, Facebook &amp; Google+. Original article on LiveScience.